I am a Senior Instructor at Castle Semple. I help to plan the day to day running of the Centre as well as working on securing funding for client groups and programmes. I am particularly focused on disability sport and helping to make our outdoor activities available to everyone. 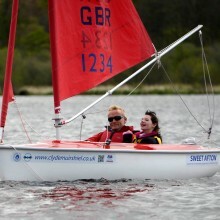 I am also the RYA Sailability Development Coordinator for Scotland. In my spare time I enjoy sailing, road cycling, sea kayaking and volunteering as a skipper for the sailing charity able2sail. I am an Outdoor Activities Instructor at the Park. I am a BCU level 3 open canoe and inland kayak coach, BCU FSRT provider, first aid training provider, RYA powerboat instructor and I just recently completed my RYA dinghy instructor qualification. During my spare time I enjoy walking my two dogs Ruby and Scooby and model building. I am an Outdoor Activities Instructor and the Park’s Duke of Edinburgh Award Coordinator. 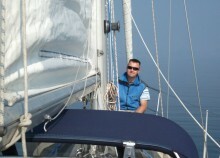 I am a qualified kayaking, canoeing, sailing, powerboating, cycling and paragliding instructor. I spend most of my spare time in the outdoors and enjoy cycling, windsurfing, kayaking and sea kayaking. I have also been known to bake a good cake. I am an Outdoor Activity Instructor at Castle Semple. I am a qualified sailing, powerboat, canoeing and kayak instructor. In my spare time I enjoy music and putting my feet up. I am one of the Centre’s Outdoor Activity Instructors. I am a qualified mountain leader (summer), level 2 kayak coach, RYA dinghy instructor, trail cycling leader, first aider, archery leader and powerboat instructor. In my spare time I enjoy hillwalking, sailing and mountain biking.